My name is Hannah and I am 27. I had a mental health breakdown whilst working as a swim school co-coordinator and swimming teacher in 2016. I didn’t go out, speak to friends, sleep or smile for a long time. After being off work for a year, my anxiety got to the point where I was able to control it and my days weren’t taken up with constant worrying and getting upset – I even became bored at home. Despite the fact I felt a bit better I was still not ready to look for a job, the thought of being responsible and being paid to do something was so scary and not achievable, I felt stuck in the limbo of being bored yet feeling guilty that I wasn’t doing anything worthwhile with my day. One day, the idea of volunteering was presented to me and at the time the thought of finding somewhere and making the first contact with anyone was an unbearable task. I was then pointed in the direction of Welcome to Volunteering at Voluntary Action South West Surrey, by the Richmond Fellowship. During my first meeting with Lorraine, I felt that she understood exactly what I was looking for and I felt positive that I was starting to move in the right direction. Lorraine spoke to the Chimney Farm Dog Rescue and arranged for us both to go for a first meeting at the charity. This was such a massive help because if I went alone, I would have struggled to communicate with people that I hadn’t met before and this would have made me very anxious. From this point on, I spent a year with the charity meeting new volunteers, helping with adoptions of the dogs, feeding the dogs and I absolutely loved having a purpose for my day. Being part of Chimney Farm also massively helped increase my confidence and self-esteem which was one of my biggest worries. Volunteering at Chimney Farm gave me a purpose and something to get up for in the morning. Mostly, I felt like I was helping and working in an environment where I was given responsibility without the added pressure of being employed and being paid for it. 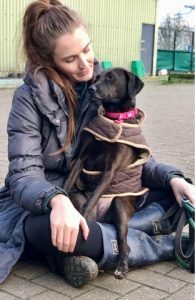 If I hadn’t had gone to Chimney Farm and spent a year with them and going through the process with Welcome to Volunteering, I definitely wouldn’t be where I am now which is back in employment working with dogs – I get up for work in the morning and look forward to going in. 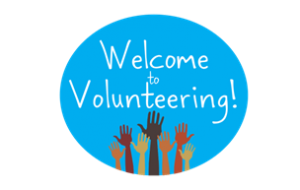 If you are interested in volunteering and feel that you need some extra support to help you get started, please contact us for more information about our Welcome to Volunteering project.